Over the last couple week, I’ve committed a librarian faux-pas. I recently read Cixin Liu’s The Three-Body Problem and have been telling everyone to read it because they’ll love it. It’s so good; I don’t understand how someone could not love it! It’s compelling, imaginative, and suspenseful. Covering topics as broad as theoretical physics, Chinese political history, aliens, video games, with a sprinkle of social commentary, the author still succeeds in telling an engaging story. The faux-pas I committed isn’t from being so excited about a book that I can’t stop talking about it—I highly encourage everyone to do this!—but rather, telling people they should read it without taking into consideration their reading preferences and interests, and hyping up the series so much that I promise they’ll love it. I end up taking responsibility for that person’s enjoyment of the book, and that is something I definitely can’t control. I’m usually more careful, but when a book is this good, my judgment gets clouded. Which books have you really enjoyed in the past? What sort of book are you looking for today? Do you prefer books that are focused on character, plot, setting, or language? It may take us a few minutes to figure out what to suggest, but know that we’re basing those suggestions on your reading preferences. We’ll usually give a few suggestions so you can figure out what works for you. Reading a book is a very personal experience and so much more than its subject or genre. Language is more nuanced than that and so to get the perfect book for the perfect moment we have to take into account different factors such as your mood, your level of engagement, your openness to different experiences, and so on. If you can’t make it into a branch for your next suggestion, make sure to check out our new Info Guide: Your Next Great Read for ways to discover new titles. The stars aligned for me with The Three-Body Problem. Just before the holidays, I was reading a mystery novel more focused on the sense of place and character (P.D. James’ An Unsuitable Job for a Woman), but I was looking for something different – something fast paced to contrast the slow days of winter. I wanted a story that was plot-oriented yet more stimulating than the usual action-thrillers I go for. I overheard a friend losing his mind over this book called Ball Lightning by Cixin Liu, recently translated into English and set in the same world as the Three-Body Trilogy. Intrigued, I picked up the first in the series at the library and subsequently lost my mind over the writing style, the mysterious plot, and Cixin Liu’s prediction of humanity’s response at finding out there is extra-terrestrial intelligence in the universe. You should really read The Three-Body Trilogy. It’s exhilarating! But if it’s not for you, let us help you discover something that will excite you. Posted in What to Read Next? Living in Winnipeg, particularly during the month of January, you may have experienced that intensely sobering moment when you look up and realize that you’re a really long way from everywhere. One good shake of the head and you can begin to rationalize our cold climate by living with a thought like, “well, I guess there’s no risk of tsunami”. Or maybe you’ve straightened yourself out with an “at least we don’t get terrifying earthquakes”. Perhaps even a very sensible “there are 520 crazy spiders in Australia and most of them can and will kill you”. These are all definite perks to our geographical location and, don’t get me wrong, I’ve (rather courteously) laughed at my share of “at least there’s no mosquitos in winter” jokes. Being a short jaunt from the longitudinal center of the 2nd largest country in the world is a very fine thing but it also means we’re a rather punishing road trip away from just about anywhere else. Granted, we do live in a city that embraces it’s never-ending winters with similarly never-ending skating trails, snow sculptures, ice palaces, twinkly lights galore, and frozen maple syrup on a stick. But there’s a limit to how much ice-cold sugar a person can stomach – literally. As well, one can only stand so many family, friends, and coworkers regaling us with heady accounts of warm places with sandy beaches, turquoise waters, non-stop mojitos, and green plants. Green, they say. When you take all those varied, idyllic, and far flung locations coupled with our very snowy and very cold winters (so long, Polar Vortex, please never come back), you’ve got a recipe for daydreaming and wanderlust. So what’s a library worker to do when marooned in the inhospitable middle of wind-chill warnings, ever-growing snowbanks, and a weather forecast that simply reads “ice crystals”? Escape into a book, that’s what. Here are a handful of excellent trips to take somewhere else without spending a single hot cent! Literary Fiction – when conventional fiction genres just don’t cut the mustard. Looking to immerse yourself into a world kind of like yours but actually not yours at all? Try a trip into Literary Fiction, where it could be real but it’s really not. If you want something that allows you to sit back and fully immerse yourself in a book look no further. As an introductory trip into literary fiction try a stopover in Naples (circa 1950) with Elena Ferrante’s My Brilliant Friend, the first title in The Neapolitan Novels series. The novel follows Elena and Lila, two young girls with a complicated friendship and the transformation of their postwar city, which shapes them both in turn. I’m not going too far in theme or geographic location when I next recommend a title that is not at all new to our shelves but entirely underappreciated. We’ll travel slightly north-east from Italy to gallivant around the rural countryside of Ukraine (NB not “the Ukraine”, just “Ukraine”). Everything is Illuminated is the first novel by Jonathan Safran Foer in which two stories unfold. One story focuses on Jonathan’s travels to Eastern Europe to track down the woman who saved his Jewish father from the Nazis during Word War II, while the other follows the history of a family living in Trachimbrod, a small Ukrainian shtetl. While devastatingly sad, it also has a distinct element of magical realism and a healthy dose of humour from Jonathan’s Ukrainian translator, guide, and enthusiastic consumer of American culture, Alexi Perchov (who also serves as narrator for much of the book in exquisite, hilarious, perfectly broken English). This is all without even mentioning Alexi’s depressive grandfather or their family dog, along for the ride, named Sammy Davis, Junior, Junior. For those who enjoy the book and, really, for everyone else, too, the 2005 film adaptation of the same title is perfectly cast with Elijah Wood as Jonathan, and Eugene Hutz, famed gypsy-punk front man of band Gogol Bordello, as Alexi. 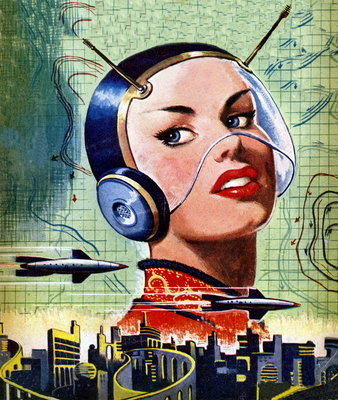 Science Fiction – When reality is just too bleak, jazz it up with some science! If you’re a fan of Douglas Adams (anyone else heartbroken that BBC America unceremoniously canceled Dirk Gently after a mere two seasons?) and want something similarly witty and dry and sci-fi-ish then Matt Haig’s Humans is a good place to start. An alien sent to earth using the body of a human scientist (who has recently discovered a little too much) gets a crash course in being human and all that entails. The tone is hilarious and watching the alien learn more about humans, a seemingly crude and grotesque species with curiously undeveloped technology, is a completely engaging read. For those of you who are already fans of Haig, get on the list for his newest novel, How to Stop Time, about a centuries-old, time-travelling history teacher. Most of my favourite books have an element of absurdity to them and the next science fiction pick doesn’t stray too far from the theme. Borne by Jeff Vandermeer starts you out right in the thick of it with a giant flying despotic bear named Mord who has been driven insane by the biotech organization that created him. Why create a flying bear? Why make it a giant? These are all questions that, sure, one would like answered but the real focus of the story is on Rachel, a scavenger who finds a creature (stuck to Mord’s fur) with a fantastic ability to grow and learn. Might not make your Dystopia-to-Visit list in the real world but it’s certainly a fascinating escapist read. Non-Fiction – Longing for an adventure to brighten up those evenings that begin around 4pm? For a book that will convince you that your home is probably the safest place around, try any book ever written that recounts a trek through the tropical rainforests of the Amazon. Nothing has made me want to stay put exactly where I am more than reading The Lost City of Z by David Grann. Following in the (highly questionable) footsteps of literally hundreds of people who died in a plethora of differing ways while attempting the exact same journey, David Grann traces the journey of the famed explorer/adventurer Percy Harrison Fawcett (aka PHF – essentially the Lebron James of Victorian exploration). Fawcett famously disappeared in the Amazonian rainforests, along with his son and son’s unfortunate best friend, in the early half of the 20th century after an intense amount of media fanfare leading up to and during the expedition. There are creepy crawlies, and horrible history, and all sorts of sleuthing going on in this one. Brain on Fire: My Month of Madness by Susannah Cahalan takes us to another place that you wouldn’t really want to be – in the grips of a perplexingly terrifying and unnamed illness. Okay, so maybe a trip to the epilepsy ward of a New York hospital isn’t quite what you had in mind when escaping from winter into a good book but this read is a real rollercoaster. It follows the true account of Susannah, from New York Post reporter, breaking stories, conducting interviews, enjoying life in her 20s in New York, through the onslaught of a completely unpredictable illness that plagues her with seizures, psychosis, and renders her essentially catatonic. While you can grab a copy of this book at your local library, I would also recommend looking into the eBook version – as I did – and listen to it via Overdrive. So if you’re pinching your pennies nickels (doesn’t quite have the same ring to it, does it? ), deathly afraid of air travel, or just wistfully staring off as far into the distance as the current blizzard-like condition will allow, there’s a book at the library waiting for you. Even if you’re not looking for greener pastures, there are countless adventures you can wade into. What have you been reading to escape winter? Share your favourites with me in the comments. It was just this year that I discovered the genius that is author Jeff VanderMeer. Some of you I’m sure are surprised that someone might just be discovering his writing, but I fully admit to doing so. I began by reading his latest novel which was receiving high praise, and was quickly blown away. I read the novel while on holiday at my cottage, relaxing on the beach, and was completely engrossed. My imagination ran wild and when I heard that the first book of his Southern Reach trilogy was to be made into a movie, I quickly picked up that book, and was equally impressed and enthralled. It was no wonder the novel won the Nebula and Shirley Jackson Award for Best Novel. For those who may not be familiar with him, Jeff VanderMeer is a science fiction author. Or, I should clarify; many of his books are science fiction (some can be considered fantasy as well). Now I know what some of you might say, “I’m not into science fiction, it is too spacey for me.” I understand the notion, from television and movies, well-known science fiction focuses on outer space, space exploration and other planets, but many of VanderMeer’s novels take place on earth or a planet like earth (he doesn’t call it earth) with new or different technologies. The literary quality to his writings allow for a larger audience who may not be quick to pick up a book placed under the genre science fiction (these categories and genres can be troublesome as often books blend genres, especially VanderMeer’s works). Many compare his books to H.P. Lovecraft for the weird and horror elements. Because of this, be prepared for descriptive language in his novels, a trait which is common in fantasy novels to help with world-building, or in this case weirdness building. These types of novels may not be for everyone, if you do end up picking up one of his novels and not enjoying the first 50 pages (give it a chance!) please feel free to put it down and try something else, they are certainly not for everyone. But this is also why I enjoyed his books so much, because they are so out of the ordinary. I will start with the first book I read, Borne. The title alone intrigued me, the synopsis compelled me to read it, and the cover art messed with my mind (once you read the novel, you will understand the cover). The book takes place in the future, in a city that was devastated by the experiments of a corporation known as the Company. One such experiment is… a giant flying grizzly bear named Mord (I kid you not!). Mord has destroyed the city and controls those living there using his minions, other smaller bears (smaller than him), to do his bidding. The main protagonist is Rachel, a scavenger who collects the discarded experiments from the Company for her companion Wick. It is on one of these scavenger missions where she finds Borne, an anemone-like creature clinging to the fur of Mord, and takes it home with her. Wick wants to initially run tests on Borne as he believes it is most likely an experiment from the Company and therefore doesn’t trust it, but Rachel refuses, and keeps Borne with her and watches as he begins to grow and learn and… let’s just say events happen from there. The world is so vividly described in Borne and it is unlike any story I have read before, you are sure to be hooked from beginning to end. A biologist, a psychologist, a surveyor and an anthropologist head into an area known only as Area X to explore and to discover what happened to the previous 11 expeditions. Told entirely from the point-of-view of the biologist as she is documenting her experience in her journal, we learn about the place known as Area X, and slowly more of what led her to participate in this expedition. This is the first book in the Southern Reach trilogy, and can be read on its own or, if you are wanting to explore the setting of the novel further, you can continue reading the next two books in the series. The book has been made into a movie starring Natalie Portman, which will be released early next year, something which surprised many as the book itself was believed to be unfilmable (once you read it you will understand why). This book takes place after the events of Annihilation. Without giving too much away regarding what happens in the first novel we follow the new director of the Southern Reach as he tries to piece together what happened during the 12th expedition. Wow, this is becoming more difficult explaining the plot without giving too much away. I can say that a new team is embarking on an expedition to Area X and… that is about it! Just trust me and continue reading! Jeff VanderMeer has written other novels which we have in our collection such as Finch a noir thriller/fantasy novel and has edited and compiled short story collections from steampunk to a feminist speculative fiction anthology with his wife Ann. Find all of Jeff VanderMeer’s books here and let me know what you think of his works in the comment section below. Posted in Miscellaneous, What to Read Next? This weekend is not only Victoria Day, traditionally the first long weekend of the summer, but also the 34th Keycon–Manitoba’s annual science fiction & fantasy convention. This year their Guest of Honour is Canadian author Kelley Armstrong. She’s written more than forty books: fantasy, thrillers, and horror for teen and adult readers. WPL is pleased to host her at an author talk at 2 pm today (Friday, May 19) in the Carol Shields Auditorium on the 2nd floor of Millennium Library. Come say hello to Kelley and discover more about her fictional worlds! If you’re interested in checking out Keycon, it takes place at the Radisson Hotel May 19 to 21. For more information on special guests, programming, and more, check out their website. Silvia Moren0-Garcia is a Mexican-Canadian fantasy writer and editor whose books place unsettlingly strange events in down-to-earth settings. In her latest novel, Certain Dark Things, Mexico City is an oasis in a sea of vampires, heavily policed to keep the creatures of the night at bay. Nalo Hopkinson is another international author–born in Jamaica, she splits her time between California and Canada. Her award-winning novel Brown Girl in the Ring is set in a post-apocalyptic Toronto. And there are many other Canadian SF & fantasy writers to try. If you enjoy military SF, check out Tanya Huff‘s Confederation series about space marines. Guy Gavriel Kay is famous for his historical fantasy; Robert Charles Wilson‘s mind-bending science fiction often plays with timelines; and Robert Sawyer writes fast-paced, classic SF adventure. Don’t forget one of the quintessential Canadian authors, Margaret Atwood, either! Several of her classic novels–The Handmaid’s Tale, the MaddAddam trilogy–draw heavily on speculative themes and tropes, even if she claims that she doesn’t write science fiction. On Victoria Day, hopefully the weather will be perfect to sit out in your backyard, at the neighbourhood park, or on the beach, and crack open a refreshing Canadian read. September 8th, marked the 50th anniversary of the first broadcasting of Star Trek, and the beginning of an enduring cultural phenomenon. I chose to mark the 50th anniversary of the Star Trek franchise in this post not only because I was a big time trekker in my teens, who was inspired by its optimistic vision of the future, but also because I owe a big debt to the television series and paperback novels for helping me learn English as a second language. Fans can rejoice that a new series is on the horizon but we can also take comfort in the fact that the library has a lot of material in its collections covering its diverse crews and eras for us to keep on trekking. There are of course the television series (five up to now) and motion pictures, starting with the classic from the 1960’s that started it all to the most recent prequel series Enterprise with Captain Archer at the helm. The library has also all the feature films available on DVD or Blu-Ray, which means you can re-discover old favourites or discover them for the first time. Despite the enduring impact of the shows and movies, the Star Trek universe owes a big debt to the novels that sustained its fanbase and help build its universe to the extent that it did. Not only do these stories have helped flesh out characters and worlds beyond what was on-screen, they also serve to this day to continue the lives and careers of the different crews after their shows ended, extending the longevity of the series and their casts. A recent release is the Next Generation/Deep Space Nine crossover novel The Crimson Shadow by Una McCormack which tells the story of Captain Picard and his crew’s effort to rebuild the Cardassian homeworld with the help of Ambassador Garak (promoted at the end of the DS9 TV series), despite efforts from factions hostile to a peaceful future with the Federation. In A Ceremony of Losses by David Mack, both crew feverishly work to avert the slow extinction of an entire species, fighting not only on the scientific front, but also the political one as different governments maneuver to use the crisis to their respective gains. As much as we loved the action, humor and camaraderie of the shows, the Star Trek universe has also garnered respect for its attempt to create a coherent vision of the future mostly based on solid science that more often than not correctly anticipated present societal and technological trends and is credited for directly inspiring technological innovations (notably cell phones and portable tablet computers). This in turn created literature exploring the mythology and fictional universe of the show, like the Star Trek Encyclopedia, while other non-fiction works like Star Trek: the Official Guide to Our Universe or The Star Trek Book set out describing the real science behind the fiction. Sure, technobabble used as plot devices that didn’t always made sense was often used, but such books reflect how the shows’ writers tried to plausibly address real scientific concepts as well, making it what science fiction at its best is all about. life. Kate Mulgrew also gained international fame as Captain Kathryn Janeway on Star Trek: Voyager, but in her memoir Born With Teeth, she tells of her struggles to establish herself as an actress despite many challenges, including difficult family issues, and her ongoing career in television. Finally we must not forget to include the man who started it all with his revolutionary concept of “a wagon train to the stars”: Star Trek creator Gene Roddenberry. In addition to an authorized biography, the library has Gene Roddenberry : the last conversation Portraits of American genius by Yvonne Fern and deals with the author’s interactions with Gene during the last year of his life, presenting through their discussion his views on humanity and its future that shaped his vision of the show. Whether you are a diehard fan of Kirk’s original 5-year mission or prefer the adventures that followed in the next following decades, there is ample trek treasures available at the library. May there be 50 more years of trekking through the stars. Joe Hill’s latest novel, The Fireman, is my recommendation for your backyard read this summer. Any book that has the nerve to open with a Ray Bradbury quote (see above) saddles itself with a high expectations, and Joe Hill really delivers the goods. The world is tormented by a killer spore, nicknamed “Dragonscale”, that infects the human race. You know you’ve got it when your skin suddenly gets covered with elaborate black and gold flecked lines, like a glowing, burning henna tattoo. The next (and final) stage of the infection is spontaneous combustion. Yes, you read that right. You just burn up, without any warning. It’s a tough diagnosis. The novel tells Harper Grayson’s story. She’s a nurse who finds herself infected with the Dragonscale right around the same time that she discovers she’s pregnant. (Isn’t that always the way?) In her experience with treating infected patients, she’s seen cases of infected mothers who give birth to healthy children, and she is determined to live long enough to give birth to her child. It’s a grim premise, but I felt compelled to see how it all turned out. Joe Hill’s prose smolders along and then suddenly erupts in number of literary “set pieces” that caused me to have a couple of late nights where I stayed up well past my bedtime to see what happened next. Along the way, Harper meets up with the titular “Fireman”, an almost mythical character who, despite being infected with the ‘scale, has somehow survived it and can control and harness the power of the spore to his own benefit. Harper is a huge Mary Poppins fan, and there are many nods to that classic story peppered throughout The Fireman. For example, there’s more than a passing resemblance between “The Fireman” and a certain chimney-sweep named Bert, and one of the most moving scenes in the novel involves a group sing-along to Just a Spoon Full of Sugar. To say anything more would be a SPOILER, so let’s leave it at that. The novel is clearly influenced by Joe Hill’s love of classic sci-fi writers like Ray Bradbury and John Wyndham, (the summer camp in the novel is called Camp Wyndham, for example), but it also could easily stand beside Stephen King’s The Stand as an example of an epic post-apocalypse story. It’s not surprising, as some of you may know that Joe Hill is actually Stephen King’s son. It’s difficult to read a Joe Hill novel and not compare him to his famous father. I’ve been guilty of doing that very thing in the past, but I can honestly say that The Fireman stands on its own merits and showcases Joe Hill as a major creative force, period. Regardless of his DNA. From the first page you get the sense you’re in the capable hands of a master storyteller who has finally come into his own. “Inspiration: Ray Bradbury, from whom I stole my title. My father, from whom I stole all the rest”. There’s something about rainy days that really makes me want to read science fiction. Maybe it’s wanting to escape to another world, or maybe it’s that time of year where you can practically feel things growing around you with almost magical speed. Here’s a quick list of 5 books to keep you busy this spring. The Mechanical by Ian Tregillis is a “what if?” exploration behind the consequences of robotics. “The Clakker: a mechanical man, endowed with great strength and boundless stamina — but beholden to the wishes of its human masters. Soon after the Dutch scientist and clockmaker Christiaan Huygens invented the very first Clakker in the 17th Century, the Netherlands built a whole mechanical army. It wasn’t long before a legion of clockwork fusiliers marched on Westminster, and the Netherlands became the world’s sole superpower. Three centuries later, it still is. believed in Lee Suh-Mi’s vision of a world far beyond Earth, calling to humanity. A planet promising to reveal the truth about our place in the cosmos, untainted by overpopulation, pollution, and war. Ren believed in that vision enough to give up everything to follow Suh-Mi into the unknown. So if you’re looking to escape these rainy days just pop by your local branch a pick up one of these great titles. As summer winds down, the nights get cooler, and we realize another eight months of cold is about to begin, I can’t help but wish I could stop time, rewind back to May, or fast forward through the winter. Time travel has long been a popular sub-genre of science fiction in books as well as on the big screen. H. G. Wells spearheaded the movement (and arguably the genre itself) with his classic novella The Time Machine. In this story, the Time Traveler ventures eons into the future and is surprised and disturbed by the disparity between the upper and lower classes, which now form two separate species. Audrey Niffenegger’s novel The Time Traveler’s Wife is about a man with a genetic disorder that causes him to time travel, and his wife, who is forced to cope with his unpredictable absences. 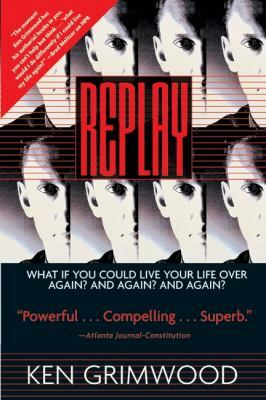 Replay by Ken Grimwood tells the story of a 43-year-old man who dies and awakens in his 18-year-old body. 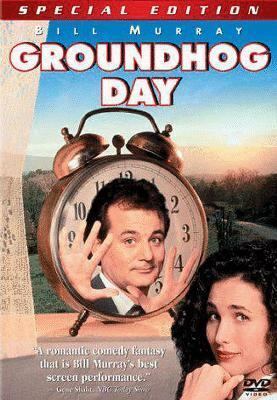 Some say this novel was a precursor for the comedic time-loop film, and one of my personal favourites, Groundhog Day. Many other films have aimed to capture the thrill of time travel. Michael J. Fox won our hearts as he drove the DeLorean from 1985 to 1955 in Back to the Future. Woody Allen brought our favourite writers of the 1920’s to life in Midnight in Paris. Arnold Schwarzenegger even used time travel to go back to 1984 to kill Sarah Connor in The Terminator! Yes, the grass is always greener, but travelling back to fix a mistake, or fast forwarding to a cool, futuristic city seems pretty tempting. Sadly for us, the ability to time travel isn’t readily available yet, so reading about it in our favourite books will have to do for now. But, if we stop and think, we might find we do time travel in our own small ways. Every time we recycle a fashion trend from the 90s, listen to vinyl, or pore over pictures on our iPhones. Every time we read about the past and dream about the future. 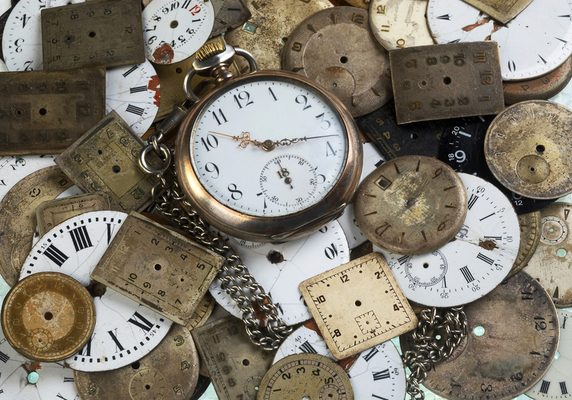 We don’t need the DeLorean to time travel – just our imaginations. *Check out our “Great Scott!” display on the main floor at Millennium Library for more materials on time travel, outer space, and science fiction. Earlier this year, to mark Valentine’s Day, I posted a list of the most popular romance reads at Winnipeg Public Library. This month, I thought it might be interesting to discover what local readers of speculative fiction – i.e. fantasy and science fiction in all their many genres – are checking out from the Library. Like romance, science fiction & fantasy authors tend to write sequels and series. Several of the books below are part of complicated, multi-volume series, so you may not want to jump in at those titles; where that’s the case, I’ve also linked to the first book in the series. Kelley Armstrong’s “Women of the Otherworld” series of books about the hidden societies of werewolves, vampires, and other supernatural beings are hugely popular. This story features the child of one of her most popular characters, so if you’re not already up to speed on this series, start with Bitten – the adventures of Elena, lone werewolf in Toronto. Patricia Briggs writes two urban fantasy series; this one has been praised as the “perfect blend of action, romance, suspense and paranormal.” If that sounds up your alley, start with Cry Wolf. If you’ve already read all of Anna & Charles’ stories, Half-Resurrection Blues by Daniel José Older might satisfy your need for more supernatural adventure. “Earth has been conquered and occupied… The Resistance still fights the invaders, but they are nothing more than an annoyance to the Illyri, an alien race of superior technology and military strength.” This second novel in a series (after Conquest) follows two young rebels who are captured, conscripted, and sent to fight offworld at the edges of the growing Illyri Empire. This intriguing collaboration between Sir Terry Pratchett (best known for his humourous Discworld fantasy series) and Stephen Baxter (best known for “hard” science fiction) started with The Long Earth, in which humanity discovers a way to access a potentially infinite series of parallel Earths. If you enjoyed this series, you might like Robert Charles Wilson‘s tales of alternate worlds too. This standalone book is “part quest novel, part love story, and part virtual space opera” set in a universe where most of humanity escapes their grim surroundings by spending every waking hour jacked into a sprawling virtual utopia. Another installment in the adventures of Richard Rahl and Kahlan Amnell (which began in Wizard’s First Rule) as they must defend themselves and their followers from a series of terrifying threats, despite a magical sickness that depletes their strength and which, if not cured, will take their lives… sooner rather than later. In Book 9 of the Imager Portfolio, Alastar finds himself in the middle of a power struggle after taking the helm of the declining Solidar’s Collegium of Imagers. If long, complex fantasy series like those written by Goodkind and Modesitt are your choice, Kate Elliott’s Crossroads series is another excellent example. A collection of short stories featuring Mercy Thompson, Patricia Briggs’ other urban fantasy heroine, and her friends. The Kate Daniels series by Ilona Andrews focuses on a similar tight-knit group of characters brought together by shared danger. Book 3 (Morning Star) is set to come out in January 2016, and I know readers from 15 to 55 who are eagerly waiting for it. Did this list whet your appetite for more? Check out the Library’s collection of Hugo Award or Prix Aurora winners too! The James Tiptree, Jr. Award is presented annually to a work of fiction that “expands or explores our understanding of gender.” It may be the only literary award partially funded by bake sales, or to include chocolate as part of the prize! 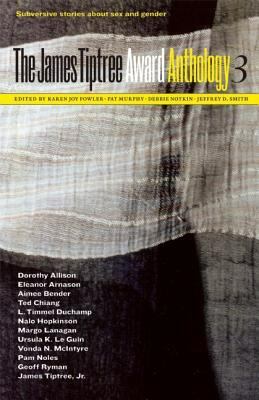 Past winners and nominees have been collected in several volumes of The James Tiptree Award Anthology. The award is named for science fiction author James Tiptree, Jr., a pseudonym of Alice B. Sheldon. Sheldon began publishing short stories under the Tiptree name in the late 1960s. Corresponding with fans and other authors only in writing, she gave ‘Tiptree’s’ biography true details from her own life, changing only her name and gender. For almost a decade, ‘James Tiptree’ was widely believed to be a man. 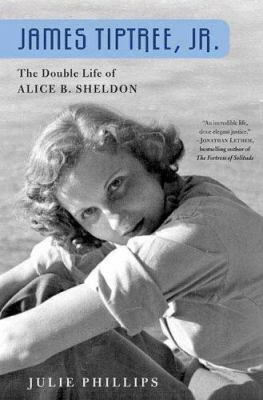 In James Tiptree, Jr.: The Double Life of Alice Sheldon, Julie Phillips explores her fascinating life. As a child Alice accompanied her parents on their travels to Africa. She was an artist, but joined the army during World War II to work in photo-intelligence. After the war she was invited to join the CIA, but eventually left to get her PhD in experimental psychology. When she began writing science fiction, Sheldon chose to use a male pseudonym both to separate her fiction from her academic career, and because she felt that using a man’s name gave her the freedom to produce the sort of stories she wanted to write. 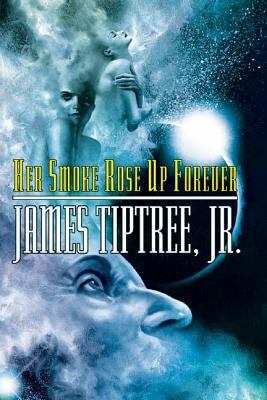 Many of Tiptree’s best work is collected in the anthology Her Smoke Rose Up Forever. Though the Tiptree award is typically given to only one work, so much great writing was published last year that the judges decided on a tie! 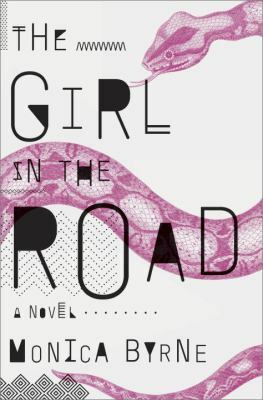 The first winner is Girl in the Road by Monica Byrne. Set in the near future, it follows two women on parallel journeys. As the story progresses, their lives become linked in interesting ways. A young woman in India is attacked and flees her pursuers. She sets off to cross the Trail, a bridge stretching across the Arabian Sea used to harvest hydro power. In Africa, an orphan girl joins a trade caravan traveling to Ethiopia, where she hopes to start a new life. Byrne’s vivid characters and her descriptions of Africa and India kept me hooked until the very end! 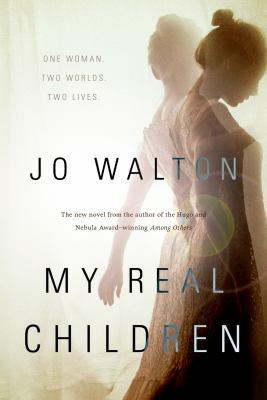 The second recipient was My Real Children by Jo Walton. An elderly woman has trouble remembering the details of her present. Her past is another problem – she remembers different versions of her own life. Her childhood and life during the war are clear enough, but afterwards her life splits in two paths. She is confused about whether or not she was married, how many children she had, and what she did for her career. In each of these alternate pasts, her own history and the history of the world are changed by the choices she makes. Along with the winners, several other fantastic works were nominated for the award. 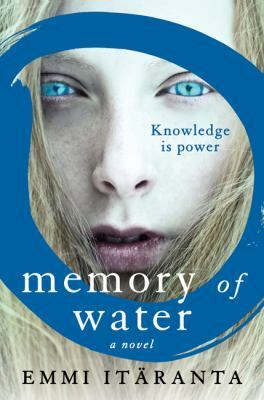 Memory of Water by Finnish author Emmi Itäranta takes place in a totalitarian future where water is a scarce resource. A seventeen-year-old girl and her father are ‘tea masters’, with special knowledge of local water sources. When her father dies, this girl must decide which secrets are worth keeping. 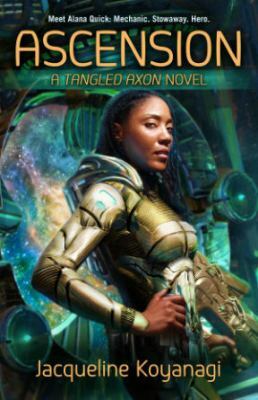 Jacqueline Koyanagi’s space opera Ascension is a fast paced adventure with a few twists. A mechanic stows away on a spaceship that came looking for her sister. But this is not your typical ship, and the crew has some quirks, to say the least! While continuing to search for her sister, they may just end up saving the galaxy along the way. 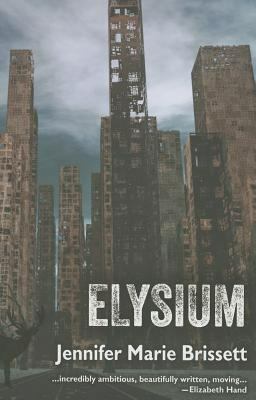 In Elysium by Jennifer Marie Brissett, a computer program tells a love story as it occurred during an alien invasion. But the program has been damaged, and the narrative is fragmented. As we piece together events, a complex story of love and identity emerges. 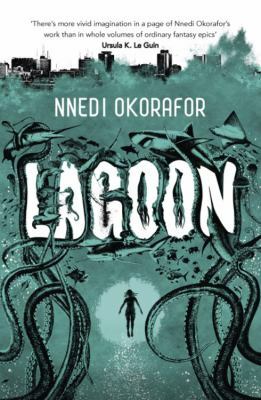 Nnedi Okorafor’s Lagoon is another story of alien contact. Three strangers witness a meteor strike on a beach in Lagos, Nigeria. Together they encounter a woman who is not what she appears. By helping her, they may find a way to save not only themselves, but also the rest of humanity. If you’re looking for something a little different in your science fiction this summer, give one of these titles a try!